Dream Cars is on its final lap. Extended for one week, the exhibition crosses the finish line on Sunday, September 14. 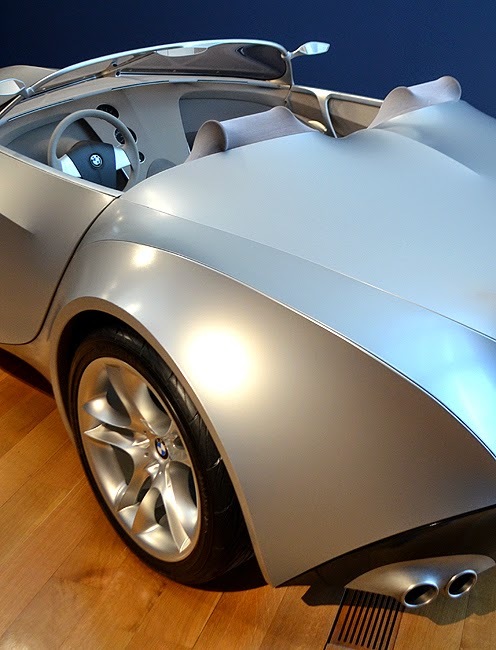 If you've not yet experienced Dream Cars at the High Museum of Art, you have only one week remaining to do so...so get yourself over there and prepare to be amazed! CNN: These vehicles were designed to look like the future. Atlanta Journal-Constitution: ...as opportunities to experiment with new technology. Field Trips With Sue: ...that is similar to a thick speedo swimsuit. Motor Authority: ...the phrase can take on a more literal meaning. And of course I had a little something to share about the exhibition here on wanderlust ATLANTA: ...approximately $10,000...in 1947 dollars. I'm betting that you'll find Dream Cars to be a checkered-flag winner!